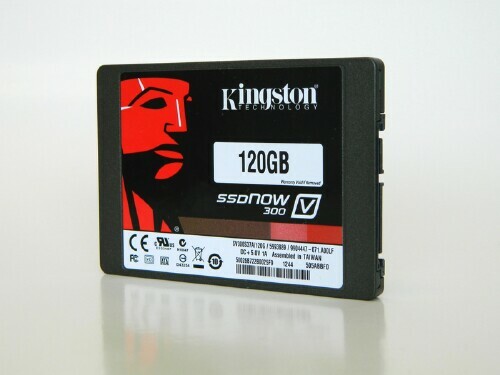 We're back with a final look of the CES 2013 Kingston trio; we kicked things off with a preview/review of the Beta version of the Wi-Drive+, moving on to the Data Traveler Ultimate 3.0 G3 Flash Drive, and now it's time for the SSDNow v300 120GB hard drive to shine. Valkor had the pleasure of reviewing the v200 and it's only fitting that I move in and take it to the next level. On the outset, the v300 comes in a dark grey case and a form factor of 2.5" SATA 3 and currently available in three sizes - 60GB, 120GB and 240GB. Each drive is available in four different options: bare drive, notebook kit, desktop kit and a combo notebook/desktop kit. For this review I received the 120GB Notebook Upgrade option. The added bonus of getting the Notebook Upgrade kit is the External enclosure, which I've used to recycle my old drive for other uses and keeping it on the go. I like to run tests on both an old and new machine; for the record my new DELL is going to be a slice of pie, so I wanted to focus on something that needed serious help. I wanted to see how much improvement I could get with my MSI U150, which has seen hell and probably should have stayed there, to see if the load speed and general use has improved. Before we begin, I highly recommend starting clean, but if you can't, then seriously look into purchasing the SSD with the right upgrade kit for you. The Migration software Acronis and Hardware are very simple to use but if you're nervous or have never done anything like this before, no worries there's a full video and PDF to read. My first hurdle was I didn't have a DVD-Drive so I had to download and re-installing windows 8. Which brings me to my second hurdle - It took Microsoft 3 days to re-issue my "Purchased Key". But I got through that and Microsoft and I have no need to talk ever! Even thought they keep calling every three hours...but I digress. Once I had everything installed the first thing I wanted to do was benchmark the drive while it was still clean; I trust the results of SiSoft Sandra's random read/write tests are accurate and the basic is FREE! I did pop it in my DELL for a quick test and in Seq. reads 462 Mbps and in Seq. write 455 Mbps. The one I wanted to really see is the MSI and the result was Seq. read 264 Mbps and Seq. write 205 Mbps It doesn't sound like much but keep in mind I'm coming from 97 Mbps read and 61 Mbps write; most impressive. One of the first noticeable improvements is that Windows 8 Opens up pretty quick but, now it's literally instant. I also noticed copying 1 GB of large and small files internally was so much faster and there's quite an improvement with sorting through a large volume of my image files. 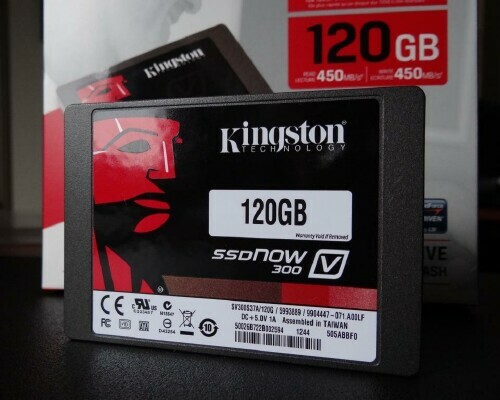 SSD v300 is very tough, runs fast and out performs Kingston's advertised speeds… either that or they're low balling the performance numbers of their products. EIther way, hands down, this is one of the best SSDs out on the market. I had my reservations about the internal SandForce SF-2281 controller with Durawrite but after abusing it and testing it out, I was very impressed. For those of you who don't know about DuraWrite, it compresses data so it reduces the number of erase cycles. They work together to improve the performance of read/write speed of the Drive with less writing and erasing. 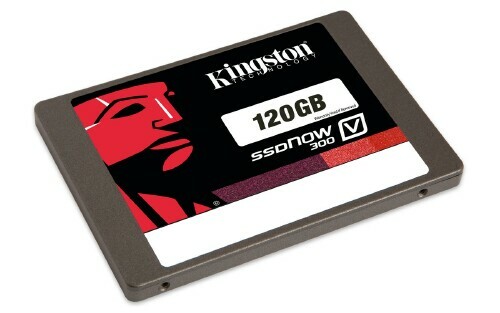 Finally, The new SSD v300 Series from Kingston is quite the bang for the buck and you can find it on the likes of Amazon for around 100 bucks. 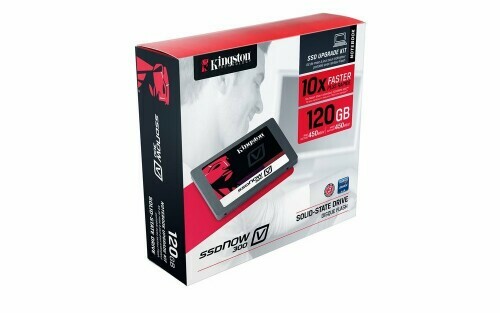 I personally can't wait till tech gets to the point that one day Kingston will release a 2 TB SSD HyperX. Windows 8 Re-install from the internet was just ARGH!!! Kingston's SSDNow v300 does what it promises and my old MSI netbook is a testament to its power, giving it the boost it has been longing for. If you're looking to upgrade and don't have tons of cash I would definitely look at the SSDNow v300, because per GB it's worth the money. I give this a TOV 5 out of 5.